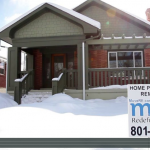 Looking for Real Estate Agents in Salt Lake City? The Muve Group has you covered! Over the past 9 years we have created life long friendships with some amazing clients. We take pride in getting to know everyone we work with. The best part about working with The Muve Group is we are not only there for the purchase or sale of your home, we are your friends and real estate experts for life. Even after the closing of your home we are just a phone call away for any questions in regards to repairs, renovations or maintenance items on your home. Questions can come up before, during or even after closing on topics like: Pre-listing inspections, home energy audits, selecting a contractor and disclosure requirements. Whether you are in the middle of a real estate transaction or you are just curious, feel free to text anyone on our team at any time!